During the course of discussion she confessed to her lack of admiration for the character of Ulysses and in the same breath declared Victor Hugo’s Jean Valjean to be an all-time favourite. This was greeted with surprise and the possible reason for her rejection of the cultural icon of individual self-assertion over a petty French convict, jailed for his 40 sous theft, whose climactic act of heroism consisted of carrying his former enemy through miles of Parisian sewers, was debated at length. I too wondered… till late into the night, the thought going round in slow, concentric circles in my mind even as I kept a wary watch for the gecko I had spotted crawling the walls of my lonely hotel room. Uff, I will think of it tomorrow, I finally decided, why does everything in Myanmar have to be so complicated? 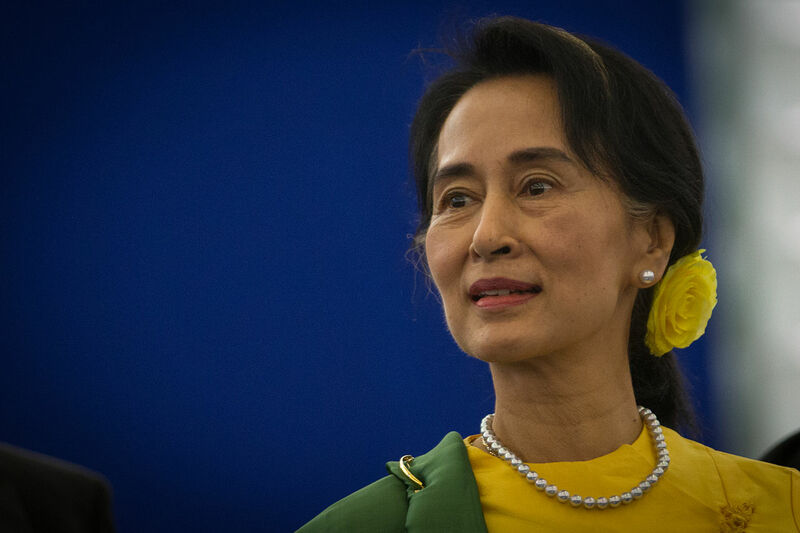 Essay: Myanmar – What does Aung San Suu Kyi’s Victory Mean for Myanmar? She wrote of the journey with some lyricism in a couple of pieces titled, The Road to Thamanya – narratives which are rich with the fragrance of long-awaited freedom and the suppressed excitement of a child setting off on an adventure. The deep sense of connection she feels with the Burmese countryside is evident as she describes white stupas wreathed in morning mist and bamboo fences with their delicate frieze of flowering vines. Everything appears magical in the early morning light and the discomfort of travelling in a car in an “indifferent state of repair” cannot dampen her spirits – despite the car radio unceremoniously falling off and the first-aid box, firmly ensconced at the back, suddenly found nestling by her feet! 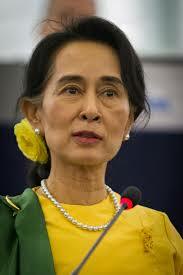 Essay: Myanmar – What Next? Sitting amidst the well-manicured lawns of the Victoria Concert Hall of Singapore with the efficiently administered GE 2015 recently concluded, it is difficult to imagine the fever-pitch tension which is currently raging in a neighbouring country – Myanmar. The November 2015 election is a first of its kind in decades when real political parties will engage in real electoral competition. During the 1980s and 90s the country has known East European-style elections which merely confirmed the majority of the ruling party. In 1999 though the Aung San Suu Kyi-led NLD party won 392 of 492 seats, it could not persuade the military junta to hand over power and in 2010, with Suu Kyi still under house arrest, the NLD decided to boycott the elections and the government-backed USDP won by an overwhelming majority. 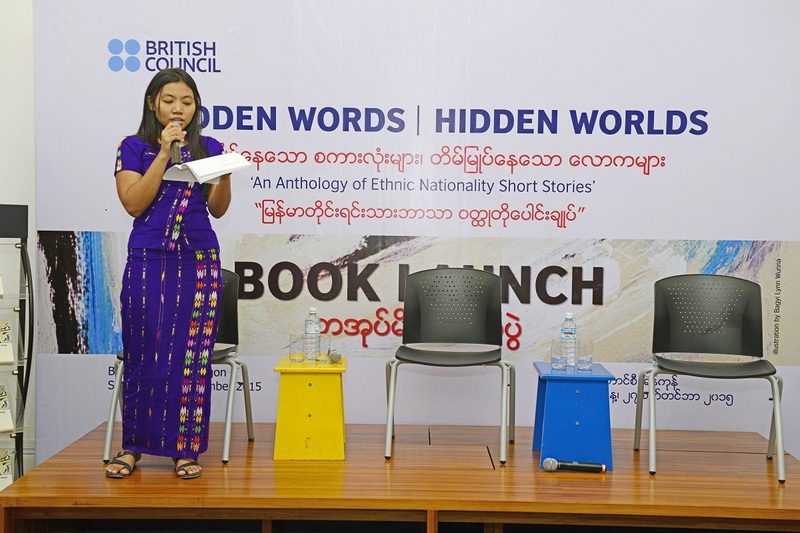 On 27th September 2015, the British Council’s ‘Hidden Words, Hidden Worlds’ project launched an anthology of ethnic short stories in Yangon, the largest city in Myanmar. In order to celebrate freedom of expression and creativity in multiple ethnic languages, this unique multi-lingual anthology includes 28 short stories, 21 in translation in 10 languages and 9 distinct scripts. The anthologized pieces were produced in several workshops held during 2013 and 2014. The workshops focused on construction of short stories were conducted in the ethnic states in which participants discussed how their socio-political concerns could be crafted into narrative forms in their own languages. Short stories from the three best workshops in each ethnic state were selected on the basis of literary merit and translated into Burmese.